Buying a Treadmill: What to Look For When Making the Big Purchase | PrimeYours! Home gyms are as popular as ever, and a key component of every gym is a cardio machine. Long before elliptical machines and the stair climber, the treadmill was invented to emulate the most basic of all exercises – running and walking. From the early inception of being self propelled (still around today), the treadmill has evolved into a high-tech computerized machine, often ranging in price as high as $10,000. But have no fear! We’ve decided to take a closer look at what you should focus on when you are out there shopping. This way you’ll be able to make an informed decision when you upgrade, or start your home gym. Once you have decided on your budget, you need to look at what is available at the price range you are searching for. One of the most common mistakes people make is spending too much or too little. For example, if you are an avid exercise enthusiast and you know that you will be working out for years, then you are far better off spending more money now, rather than being stuck with a machine you will need to upgrade 12-months down the road. Conversely, spending far too much on a feature rich machine is equally wasteful, particularly if you know that you may stop using it after a year, or you only need something for the short term. Here is a list of tips you need to remember when you walk into the store. It is a common sales tactic for sports equipment salespeople (not all of them, mind you) to ‘up-sell’ people who walk in the door. They may tell you that if you spend $5,000 on a really expensive treadmill that the cost of the machine will be your motivating force to continue to work out. However, these expensive machines end up being expensive dust gatherers if they are only used for a few weeks then abandoned. The old adage – the less moving parts the better – is true when it comes to treadmills. Multiple electronic features and any other complicated devices (moving handles, incline function, heart monitors, etc.) will all need repairs or maintenance at some point. Find out exactly how long the warranty lasts, what it covers, and where the repairs are done. If you are required to ship the machine away each time it breaks down or even drive it down to the store, you will be very unhappy. If the fancy features continually breakdown, then you have wasted a lot of money and time without getting any health benefit whatsoever. Finally, find out exactly what maintenance is required by you. Some machines require regular oiling and cleaning, while others are practically maintenance free. If you hate doing anything mechanical, then make sure you buy one that requires little or no maintenance. Your best bet is to buy from a company that has been around for awhile, not some new firm that could be out of business when you need maintenance. You should also make sure you buy from a well know store or website. You want to be able to have questions answered if anything goes wrong. Many lower priced machines have 200 pounds (or lower) maximum weight limits. This is crucial because the heavier you are and the more frequently you use the machine, the more likely you are to increase the wear and tear on the belt and motor. It is often recommended you purchase at least 50 pounds higher than what you are, which will allow for some leeway when it comes to the maximum weight allowance. Not many people even think about the noise of a machine until they start getting complaints from their neighbors. If you live in an apartment, then the odds are your running will occur over some persons head. Some machines are cushioned, muffling the sound of the running. However, some have very thin rubber treads, resulting in a very loud sound at impact. Furthermore, there is a huge difference in the sound and quality of the motor. Most of the better machines have quite, muffled motors. The cheaper machines are cheaper because they save money on not adding any soundproofing, and using less powerful motors. The smaller motors often run at higher speeds, which results in louder sound emission. If electricity is a concern, then you may want to check out just how much energy the machine uses. The newer models are better, but there is a big difference between models. If you use your machine every day and pay for your electricity, then the costs could outweigh the savings over a long period of time. As mentioned earlier, there is a huge difference in the quality of the padded tread, a factor that varies greatly with price. While some companies charge more for fancy electronic features, others charge more for the quality and feel of the tread beneath your feet. You may be able to find a machine that offers the best of both worlds, but it may come with a hefty price tag. When in doubt, bring your joggers with you to the store. They always have models plugged in that you can try, which will give you an excellent idea of the comfort of your run. You want a tread that will absorb the impact as well as offer a comfortable feel. Some of the cheaper models feel like you are running on rollers, and in most cases you are. The odds are you are still not sure how to set the clock on your microwave, so don’t get a machine with a complicated, hard to use control panel. Try to get something that has a quick start feature, allowing you to bypass everything and get straight to the running. If you are spending a lot of money, then have the salesperson take the time to go over the features with you. Like any computer program, it is easier to remember when someone takes you through it once. 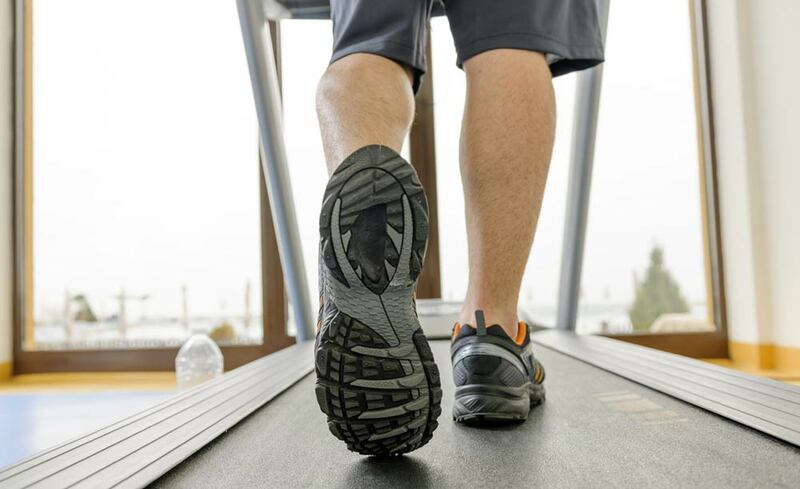 Treadmills can be a hefty investment, so take the time and do it right the first time. You should also have a look in the paper at used machines, or even in second hand stores. But remember, if the manufacturer no longer exists then service becomes an issue. Another good source is to check with your local gym and ask if they have any old ones for sale, or if they can recommend a dealer. Odds are they have a source for used equipment, and probably the name of a good repair-person. GERD And Heartburn and Ulcers, Oh My!